When it comes to senior health, a major part is your aging loved one's diet. Food is a major source of nutrients, vitamins, and health benefits. With every stage of our life, we require different elements, so it should come as no surprise that seniors need a specific set of vitamins. 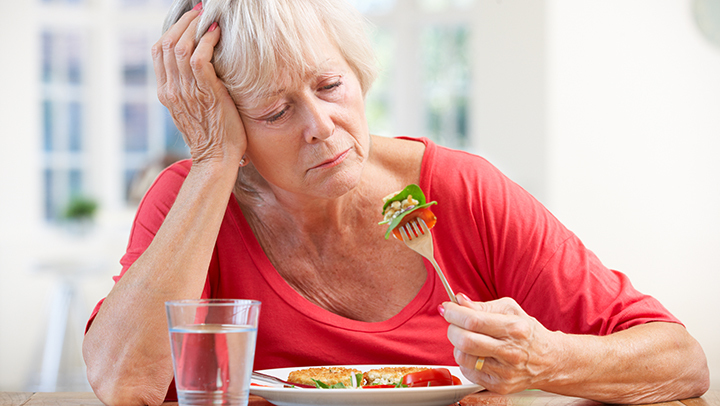 Caregivers should take a step back and reevaluate their aging parent or loved one's meal plan. Are the following nutrients incorporated into the menu? If not, you may want to consider a trip to the grocery store. Calcium. As we get older, our bones become more brittle and easier to fracture or even break. Calcium will help strengthen bones, so consider drinking milk, almonds, broccoli, yogurt, and kale. Vitamin B12. Older adults have difficulty absorbing B12 the same way younger people do. B12 contributes to healthy circulatory and nerve systems. Red meat, salmon, milk, and liver are major sources of this helpful vitamin. Magnesium. Did you know magnesium can help with nerves and anxiety? It also helps regular levels of calcium, potassium, and sodium. It may even help prevent migraine headaches. Dark chocolate, avocado, almonds, and whole grains add a healthy dose of magnesium to your diet. Potassium. Potassium has the ability to lower blood pressure and reduce the risk of kidney stones. It's a very important for seniors to take and can be found in bananas, mushrooms, dark leafy greens, and squash. Fiber. This is an essential part of any diet, and its deficiency is quite noticeable. Fiber helps move foods through the digestive tract and promotes regularity. It's important to strike the right balance of fiber, which can be achieved with certain breakfast cereals, dates, nuts, and cranberries. Water. Keeping hydrated is perhaps one of the most overlooked, albeit essential, steps towards human health. When a senior is dehydrated, everything is negatively affected. For sources of hydration, consider coconut water, celery, berries, lettuce, and sports drinks. Does your aging loved one have all six of these in your diet? They all contribute to a healthy and happy lifestyle and reduce the risk of various health conditions. As always, when trying new supplements, always consult a physician.